Terra Nova Club, Inc. – New Land. New World. A New Way To Live. There are times in all of our lives when we are in need, and times when we are able to give back. At the Terra Nova Clubhouse, we volunteer to give back. We volunteer to help a population often underserved and misunderstood. We volunteer to offer addicts the opportunity to find a recovery program – proven effective for decades – and provide them with social and educational opportunities to enjoy and stay in recovery. The disease of addiction is progressive and often fatal; living in recovery is an alternative that gives addicts a chance to save their own lives, and change their relationships with the world, increasing the likelihood of being able to reunite with families, regain custody of children, find housing and gainful work, restore their lives as acceptable, responsible and productive members of society, and become role models who give back to our community. Our mission at Terra Nova Club, Inc. is to offer a clean, safe and comfortable meeting environment for those seeking recovery, as well as a Clubhouse for positive, drug- and alcohol-free social and recreational activities. We offer affordable meeting space for the recovery community, computers with free wi-fi, books, a community bulletin board, bus route and community resource information, a lounge area with television, ping-pong and pool tables, a small stage, a coffee and snack bar, and a variety of social events (from free movie and game nights to talent shows and dances, as well as yoga). 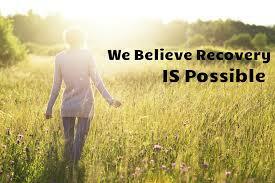 Most importantly, we offer friendly faces and a safe place for those on the journey of recovery. 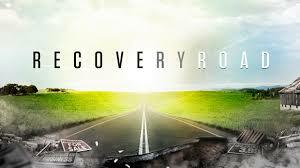 From the frightened addict who attends her first meeting to the recovering addict who keeps coming back for decades, all are welcomed with open doors and open arms. People in recovery in our community know who we are. For over 25 years, we have rented various facilities, moving when we could no longer stay where we had tried to grow. Last year Terra Nova realized a major milestone by raising enough funds to allow us to purchase a building of our own. With the achievement of this dream came many challenges that have resulted in an ongoing need for funds to maintain and renovate the building. That’s where you come in. Our Board of Directors is fully volunteer-based, and we need the support of the community to continue to move forward with our mission. As a 501(c)3 nonprofit organization, donations to Terra Nova Club, Inc. are tax-deductible. We are in a massive fundraising drive currently for a major renovation undertaking. When complete, our new building layout will allow us to provide space for multiple recovery groups to meet simultaneously. Please donate through PayPal below. Your philanthropy will go a long way toward building the foundation for our terra nova, and will help improve and save more lives than you will ever know. Thank you for any support you can offer!